On 16 August 2016, an article was published in the Middle East Eye in which it was claimed that the evidence that US-based cult leader Fethullah Gulen – the head of an organization on Turkey’s terror list dubbed the Fethullahist Terror Organization (FETO) – masterminded last month's failed coup attempt in Turkey was “flimsy”. ‘The published “evidence” [that Fethullah Gulen masterminded the 15 July failed coup attempt in Turkey] so far is flimsy,’ wrote the author before going on to evaluate four examples of evidence. However, in his evaluation he did not provide a crucial detail on one piece of evidence and did not quote the confessions of Chief of General Staff Hulusi Akar’s aide Leven Turkkan, who sparked outrage in Turkish media and public opinion after admitting to having links with FETO. 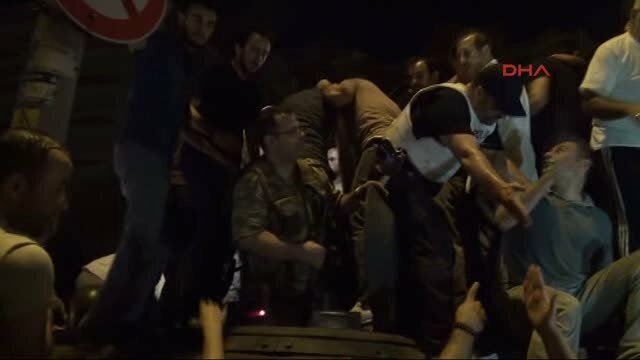 When the author mentioned a “police officer in military uniform who was dismissed in 2014 because of an alleged Gulen connection”, he omitted the fact that the officer in question, Mithat Aynaci, was found in a tank rolling across Istanbul on the night of the coup attempt. There was also a number of other evidences such as the following which passed unmentioned in the article. An associate professor of Islamic theology at Sakarya University, Adil Oksuz, was detained at a jet base in Ankara which was reportedly the primary center in Turkey where the coup was directed. He was the only civilian beside 99 soldiers in the base at the time of the coup attempt. He is reported to be the “air force leader” and the "black box" of FETO. Moreover, all of the suspected soldiers were arrested after their detention but only Oksüz, tried for the accusation of air force leadership of FETO, was released in 20 minutes despite the prosecutor’s objection that he was the only civilian in the air base. He has been on Turkey's wanted list since then. “Instead of being a professor, I wish I had become a colonel. I would have contributed more during this period,” said FETO-linked academic Osman Ozsoy live on TV a month before the 15 July coup attempt. After the program's host asked him how he would have contributed more to the country, Ozsoy responded, "I said it and it is over now, do not ask again." It was found out that Captain Haldun Gulmez carried a beddua paper, a religious condemnation, written by FETO leader Fethullah Gulen, read to curse President Recep Tayyip Erdogan and Turkish government officials. Sergeant Zekeriya Kuzu said that he got in touch with FETO in 2007 and that sometimes he met with a FETO member and informed him about the situation of military staff.